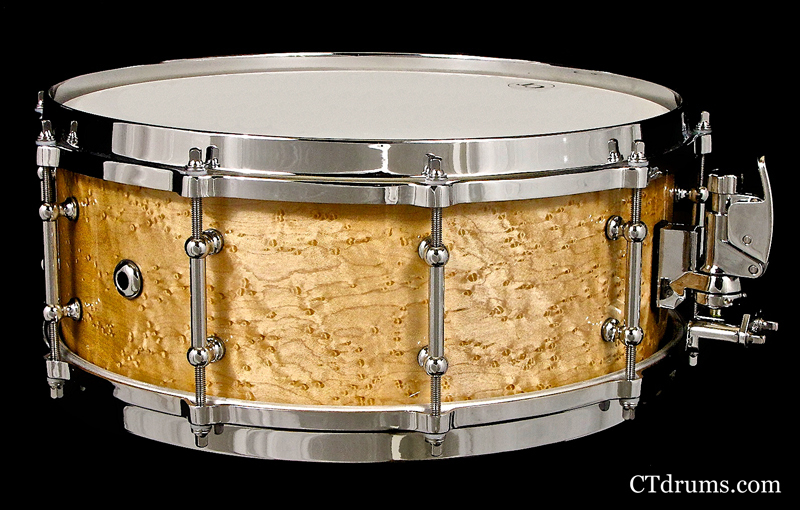 This 5×14″ solid single ply steam bent birch snare is custom painted with a customer picked green rainbow flake. 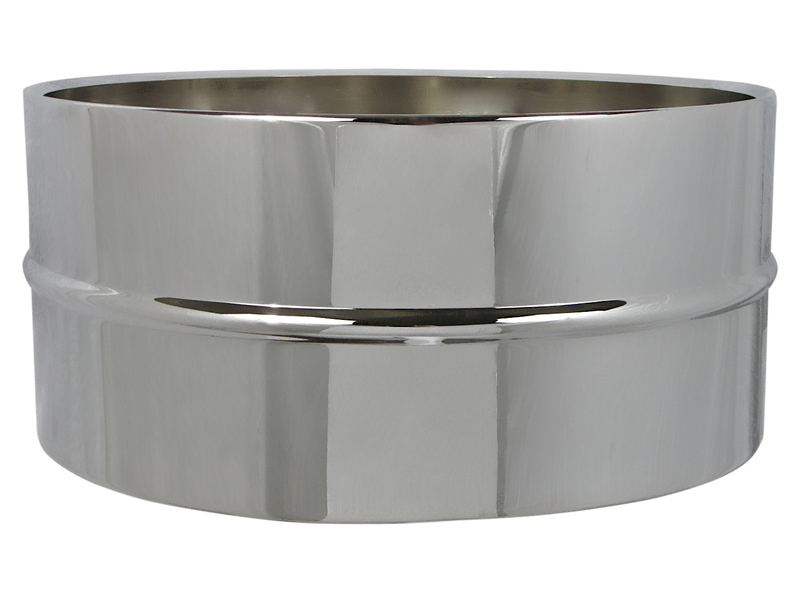 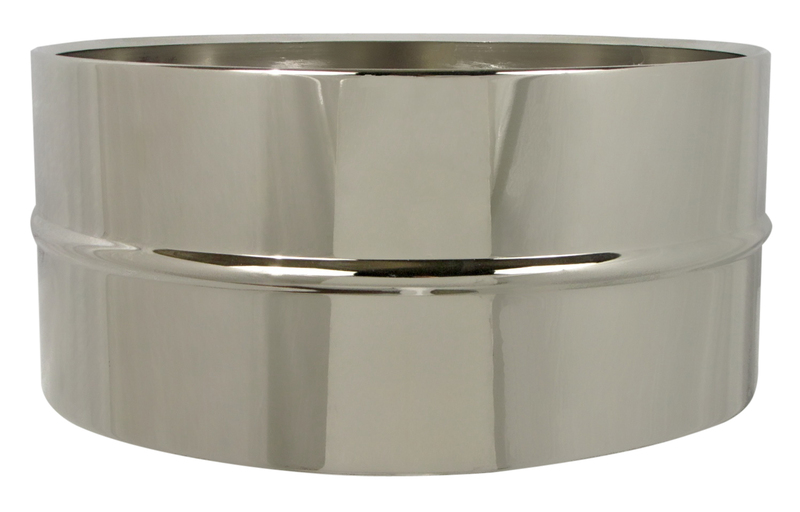 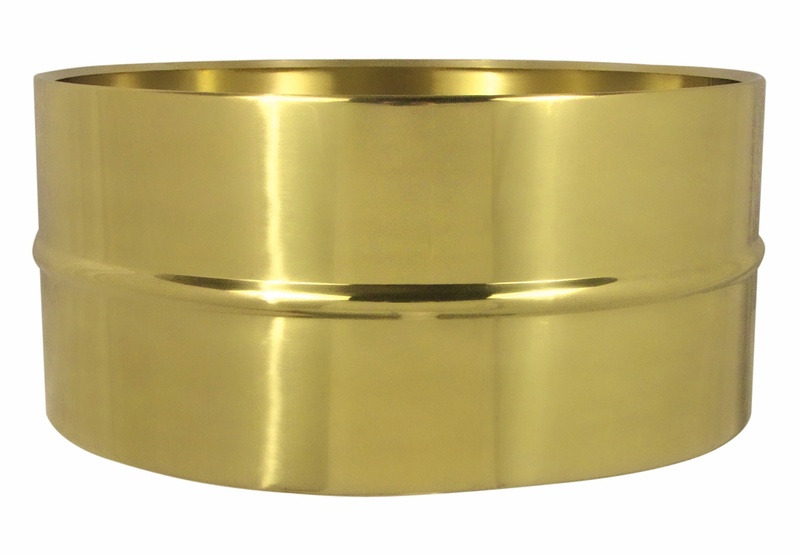 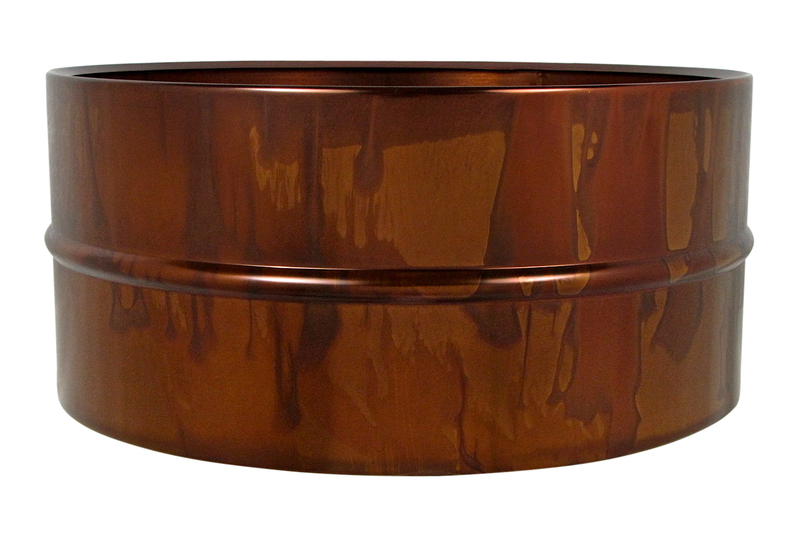 Crockett Tubs does not have set finishes or guidelines, we can only list as many color examples as we can photo. 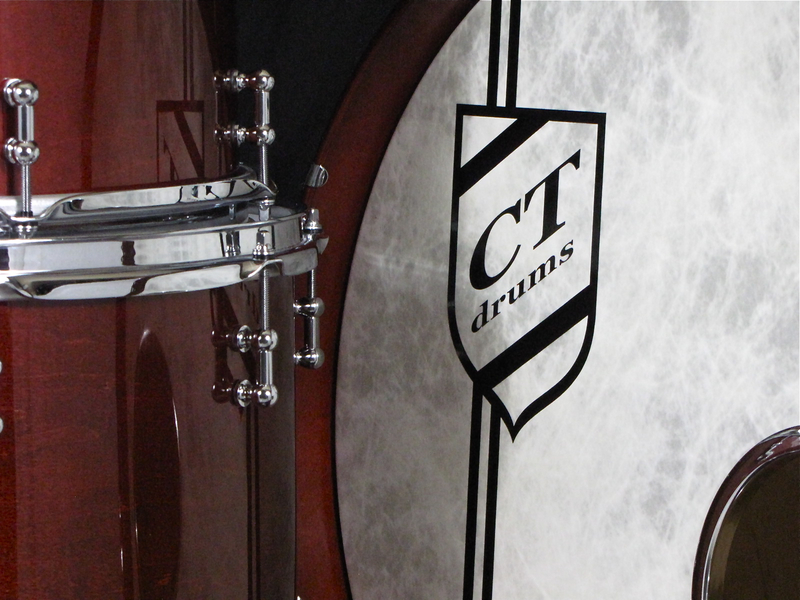 We will use any color you can find or do the leg work for you until we find just the right shade, flake size, or type to paint your own custom drum. 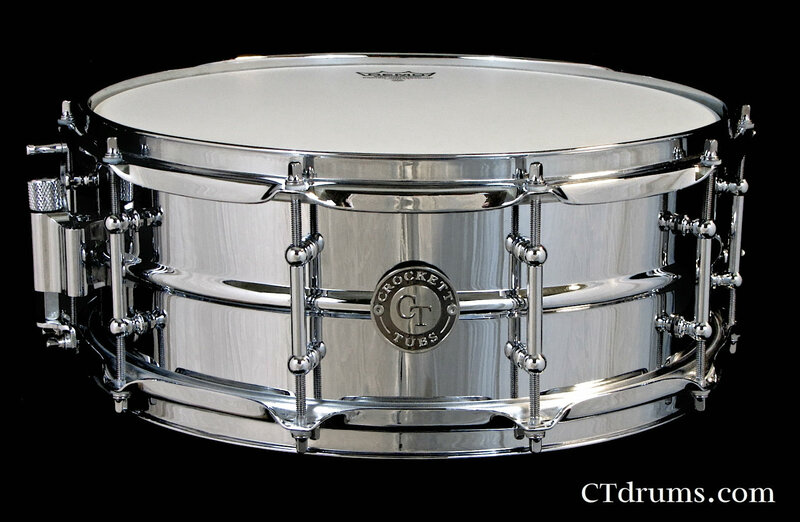 No holds barred; if it’s out there, we will do it! 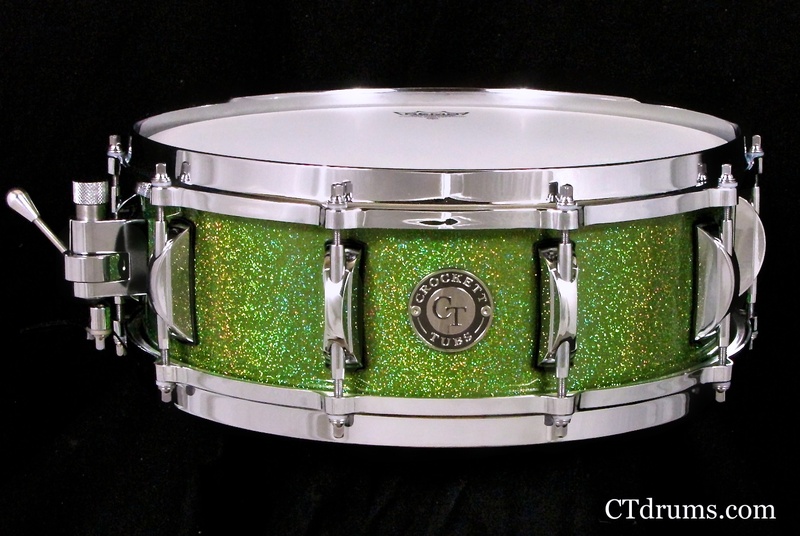 We started with a green basecoat and layer the green flake that has a rainbow shimmer depending on the on the light, then bury it all with our premium high gloss lacquer. 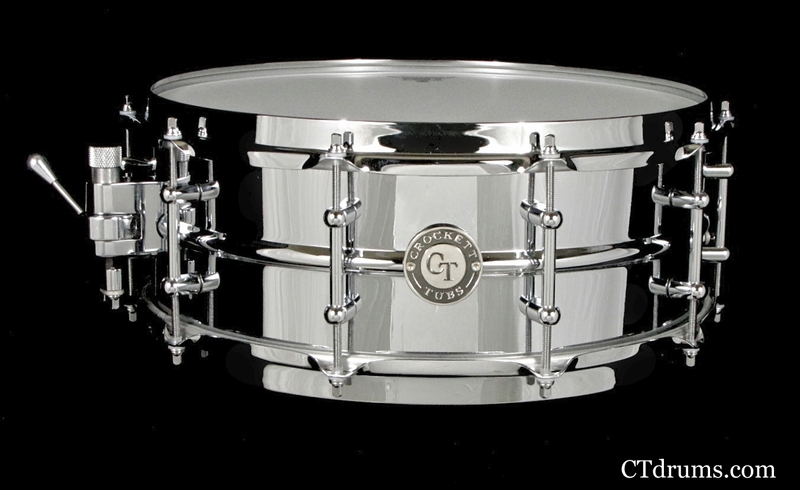 Added all chrome hardware featuring Arch2 double ended snare lugs, die cast hoops and a Trick multi-step throwoff to finish it off. 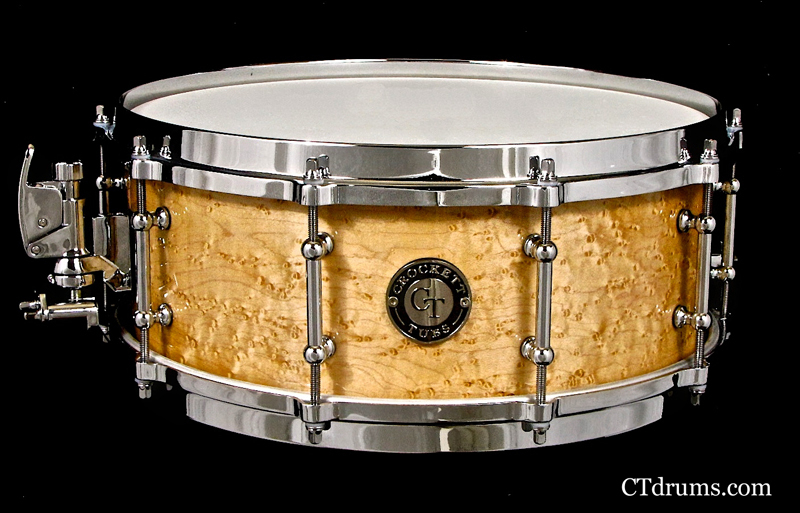 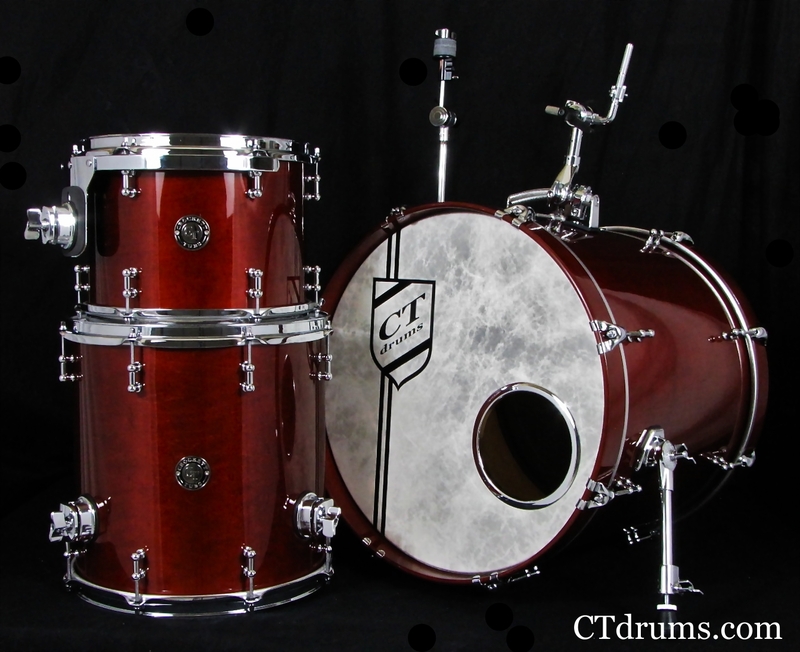 A classic CT Standard Series kit featured in our distinct Burnt Sienna stain under our premium high gloss clearcoat. 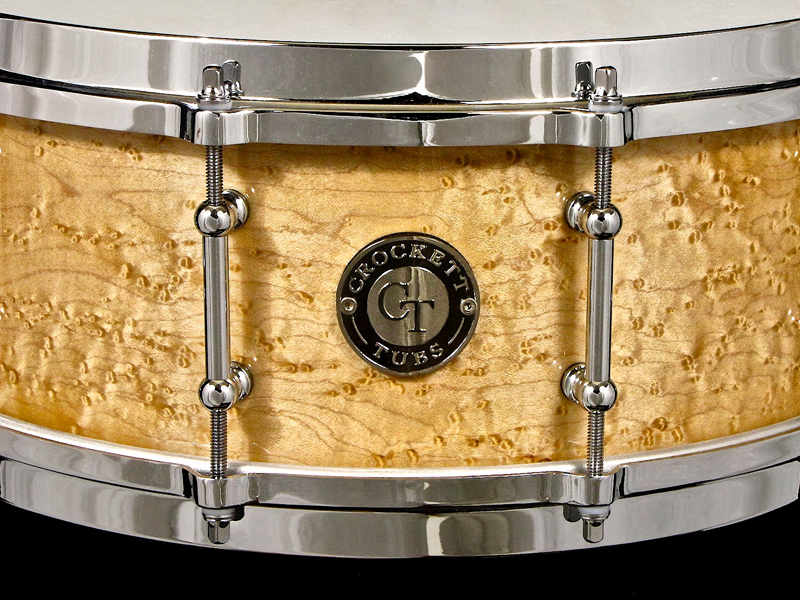 This is a sweet little 3pc Maple set with an 18×20″ kick 8ply drilled for a vintage rail mount and cymbal arm. 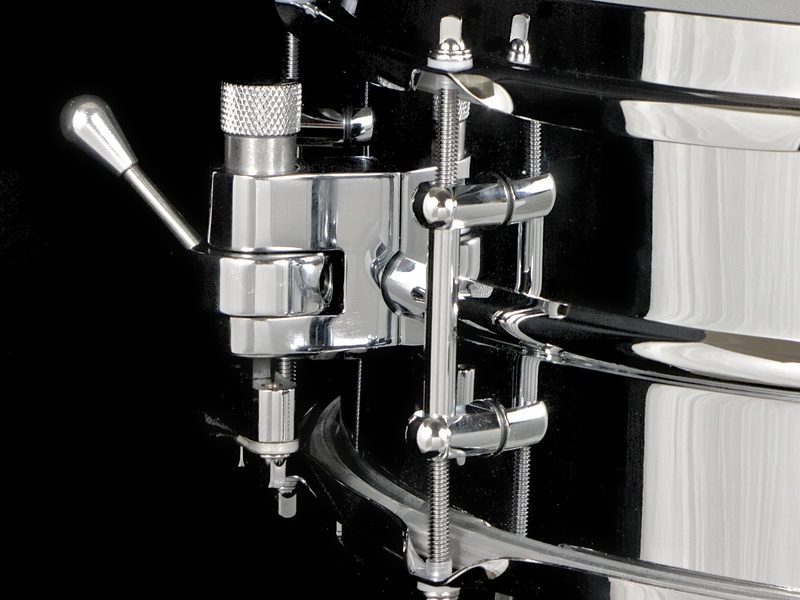 This helps eliminate extra hardware stands and a tighter setup with less floor space. 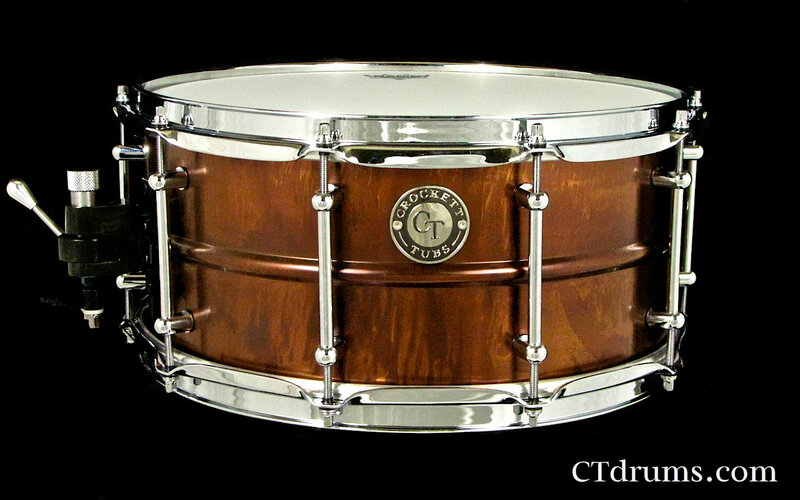 Added 6ply maple 9×12″ rack and 14×14″ floor tom complete this versatile setup. 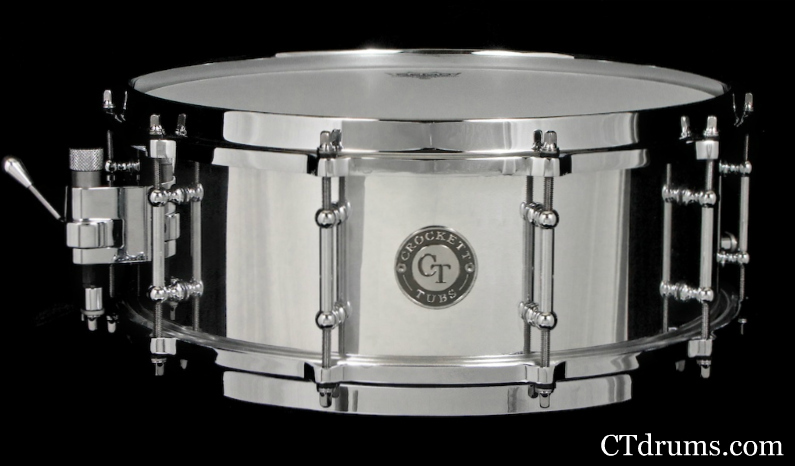 All quality chrome hardware includes 1″ inline mini tube lugs, 2.3mm triple flanged hoops, pro spurs, heavy duty hinged brackets, rounded butterfly bass claws, and a vintage CT crest bass logo on a Fiberskyn head.